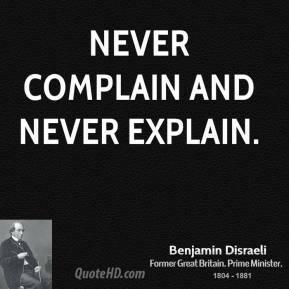 Never complain and never explain. 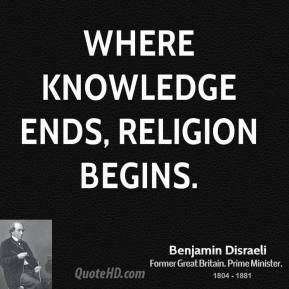 Where knowledge ends, religion begins. 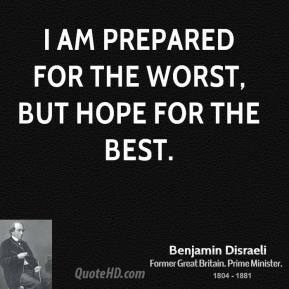 I am prepared for the worst, but hope for the best. 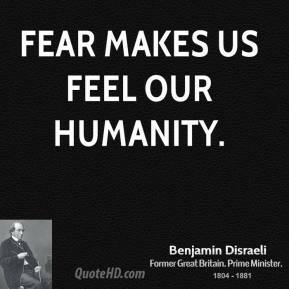 Fear makes us feel our humanity. 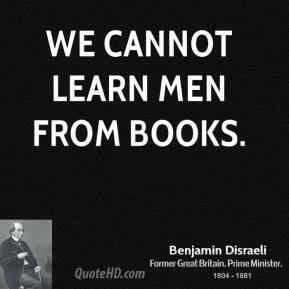 We cannot learn men from books. 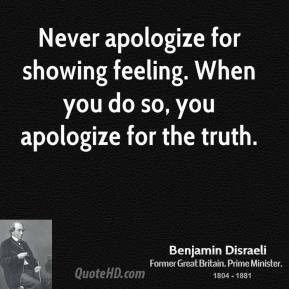 I never deny. 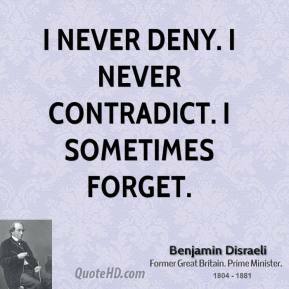 I never contradict. 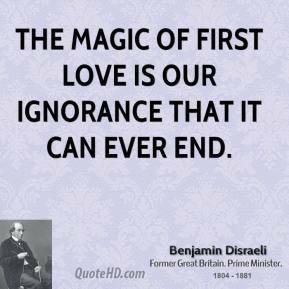 I sometimes forget. 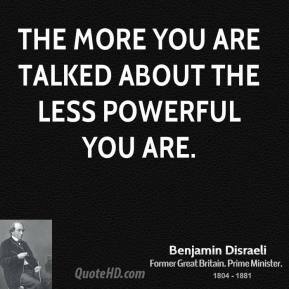 The more you are talked about the less powerful you are. 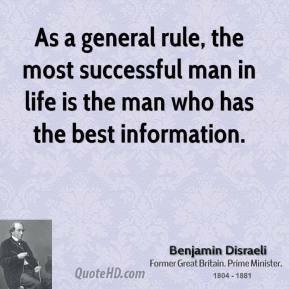 I must follow the people. 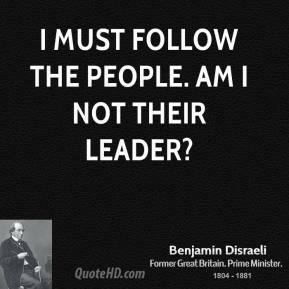 Am I not their leader? 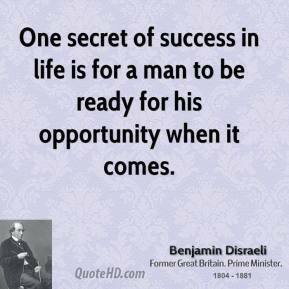 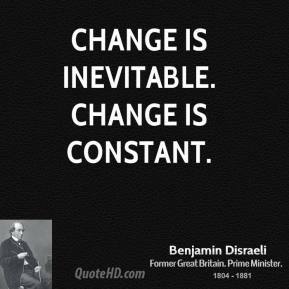 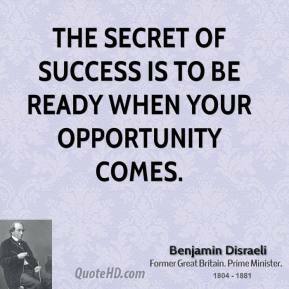 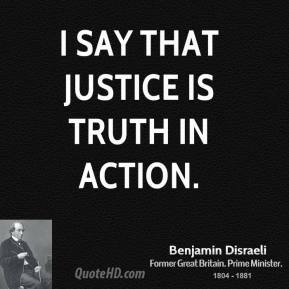 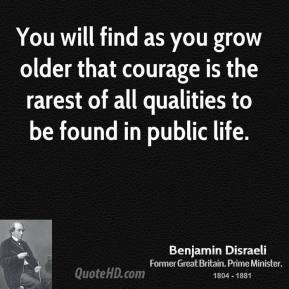 You will find as you grow older that courage is the rarest of all qualities to be found in public life. 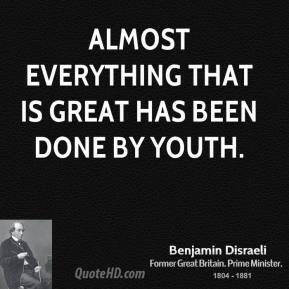 Almost everything that is great has been done by youth. 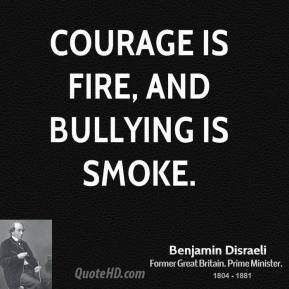 Courage is fire, and bullying is smoke. 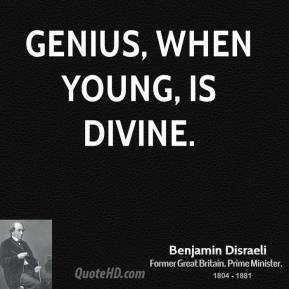 Genius, when young, is divine. 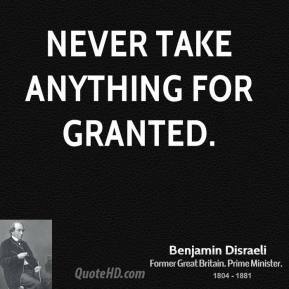 Never take anything for granted. 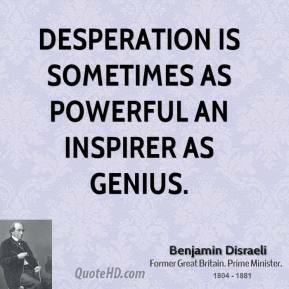 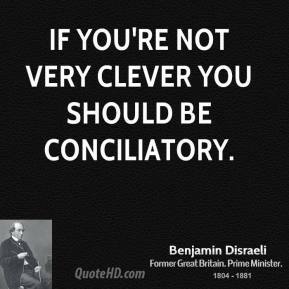 If you're not very clever you should be conciliatory. 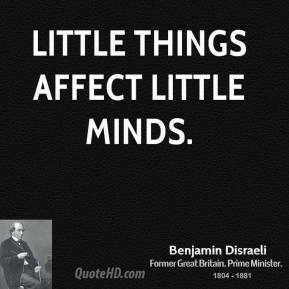 Little things affect little minds. 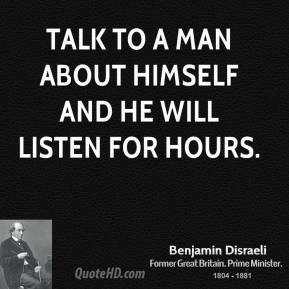 Nurture your minds with great thoughts. 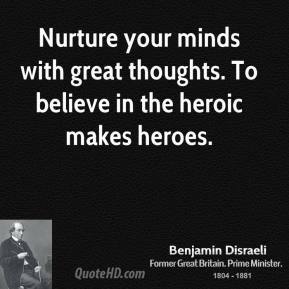 To believe in the heroic makes heroes.